Love Locket bath bomb ($10.95 CAD) - this heart-shaped bath bomb is scented with vanilla, jasmine, and neroli (also known as orange blossom or orange flower) for an uplifting and sensual fragrance. It splits easily into three parts (two outer halves and one inner heart) to stretch over a few baths. LUSH loves hiding little surprises in its bath bombs and this one is no different: the inner heart contains little red and pink hearts made of biodegradable agar seaweed. The Kiss tinted lip balm ($9.25 CAD / 6g) - LUSH's lip balm gets a romantic pink tint with moisturizing and softening ingredients like shea butter, cupacu butter, and castor oil to get your lips kiss-ready. The lip balm formula seems to vary across their lip balm line; this one in particular features guarana seed powder as a natural lip plumper, and agave syrup for a high-shine finish. Close To You massage bar ($7.95 / 43g) - this massage bar is one of the "smooshable" ones, meaning it will melt easily between your pressed palms and used up all in one incredibly moisturizing massage session. The shea butter, murumuru butter, olive oil, and almond oil base has a vanilla scent, similar to Creamy Candy bubble bar and Rock Star soap. Prince Charming shower gel ($9.95 CAD / 100ml, $19.95 / 250ml, $29.95 / 500ml) - in contrast to the more musky, sensual Love Locket, Prince Charming features grapefruit and pomegranate for a cheerful, energizing scent promising to "sweep you off your feet!" If you love pomegranates, be sure to check this one out, as it's the first and only LUSH product with fresh pomegranate juice. Tender is the Night massage bar ($11.95 CAD / 60g) - this super-hydrating massage bar is a Valentine's Day veteran, previously in a heart shape. Murumuru and shea butters are scented with jasmine, vanilla, and ylang ylang. 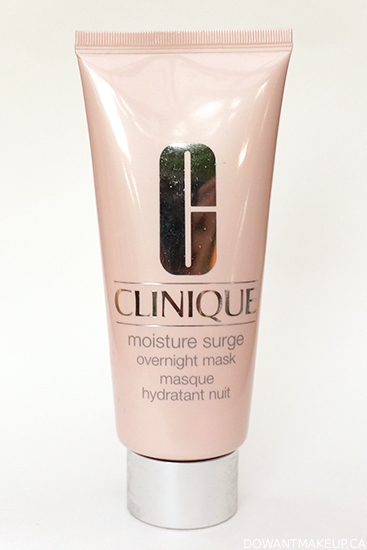 If you can't find this one in stores, don't fret: it's sticking around in the permanent line-up. Neon Love soap ($6.95 CAD / 100g) - LUSH whipped up a brand new fragrance just for this soap bar, which uses bergamot, rosewood, cinnamon leaf oil, and passion fruit juice. Nourishing soya yogurt was added to the usual moisturizing rapeseed and coconut oils soap formula for a bar that's extra nice to skin. 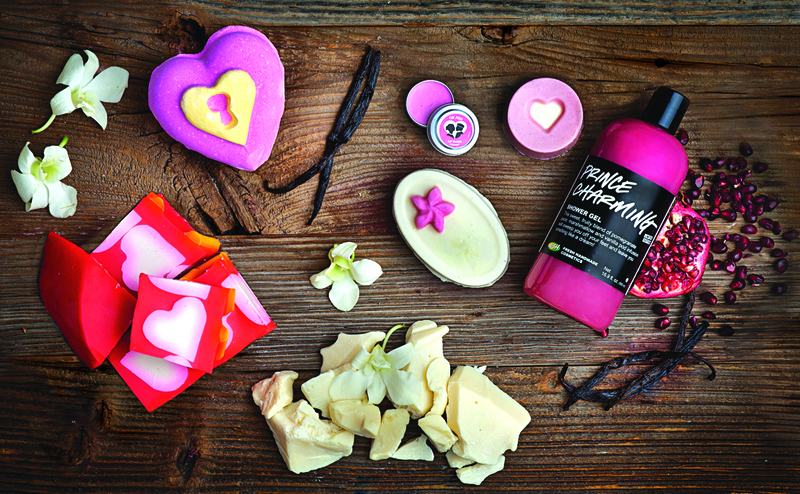 Naturally, LUSH also has a few limited edition, delightfully-pink gift sets for you to choose from too, which feature a mix of permanent and Valentine's Day-only products. See all three (Toucan Love, Lots of Love, and Neon Love) here. I received a few press samples to try out and will be sure to report back on my findings! Which Valentine's Day product caught your eye? Hello! Here's a quick post before I go off to start my weekend. This is a post that, like many, I meant to share a while ago but didn't get around to editing the photos until now. 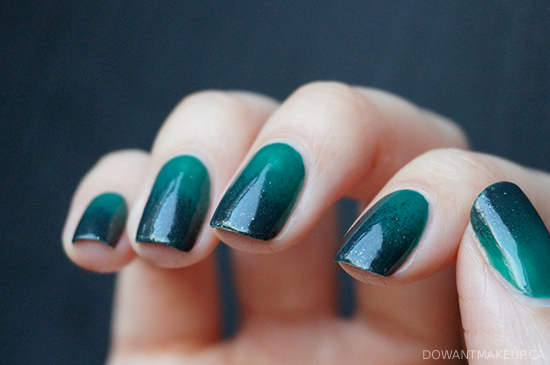 I remember seeing the "ruffian mani" around a lot in early 2013; sister to the half-moon, it's a look that features a crescent of contrasting nail colour against the cuticle. I tried it for myself and was pleasantly surprised at how well it turned out (slightly lumpy tips aside). 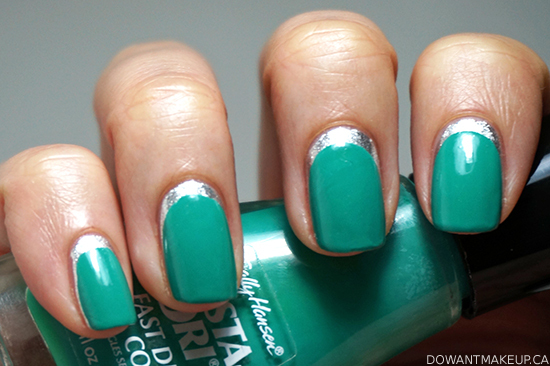 I used Orly Dazzle as my crescent and Sally Hansen Insta-Dri in Mint Sprint to cover the rest of my nail. Mint Sprint leans a little too blue for me to call it mint, but "mint ruffian" kind of has a nice ring to it anyway. I don't really have any tips or tricks because I did this freehand, but it's relatively easy as long as you are able to paint your nails without getting polish all over your cuticles. If paper hole reinforcements or other curved adhesives happen to match the size and shape of your cuticle, you can try using those as a guide. It's also best to use relatively opaque polishes to avoid having too many coats of polish, which can lead to easy chipping or an overly thick look; I used a coat of Orly Dazzle to cover the entire nail, and two coats of Mint Sprint (but I suspect one would have been enough). For Mint Sprint, starting with the centre stroke, I touched the brush down a little further away than where I intended the polish to actually start, and pushed the brush slightly back towards the cuticle to create the rounded edge. I completed the stroke by pulling the polish to the nail tip. Then I just followed the rounded shape created to do the side strokes. You're sort of doing this as if your cuticle starts a bit further up than it really does, and yes, it's that simple. Will you be trying the ruffian nail? What are you up to this weekend? Hello and happy 2014! 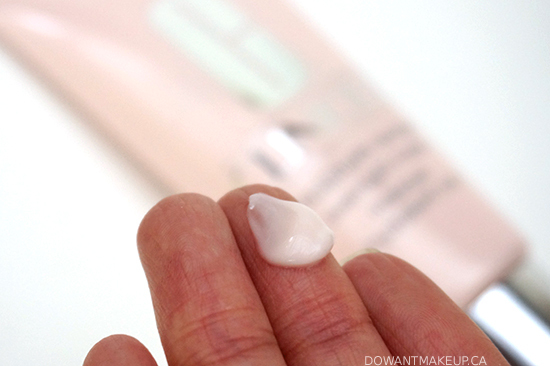 I wasn't sure if I wanted to do a 2013 recap post, partly because I realized I didn't even get around to posting about some of my absolute new favourite products. The new year is a good opportunity to reflect on what I've done and what I want to do, but sometimes I feel a little depressed because some aspects of my life are not quite where I'd hoped they would be by now. But after thinking about it a little more and I remembered some of the things I've accomplished in the past year: I had the learning experience of a lifetime planning Blog and the (Van)City, a fashion/beauty bloggers' mini-conference, with my amazing friends Sheila and MizzJ; my nail polish collection grew even bigger; I met more cool and talented Vancouver-based bloggers; I even taught a nail art workshop. So I feel a bit more confident about facing 2014, and becoming a better person, friend, and blogger. Thank you for reading my blog and my ramblings. Annabelle TwistUp Lipstick Crayons: a gorgeous, varied range of shades, and the #24Days project helped me discover my love of vampy lips!